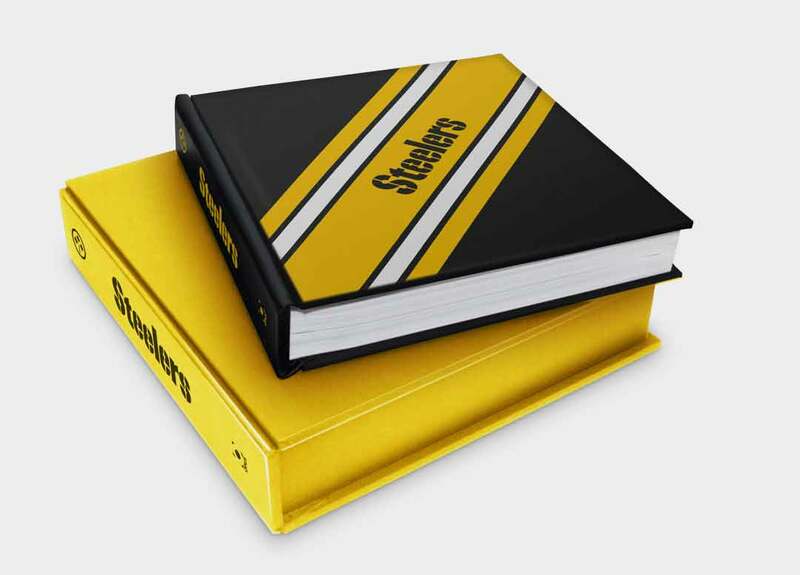 Available in three special editions, including two highly limited marquee editions, there’s a Pittsburgh Steelers Opus for every member of the Steeler Nation. The exclusive limited edition Icons Edition is limited to just 100 copies worldwide. 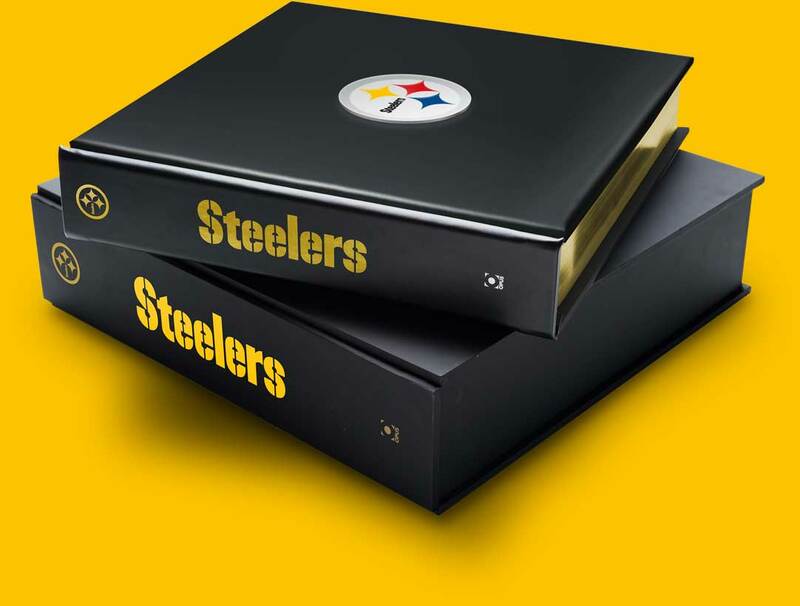 Delivered in a custom made Steelers clamshell case, this marquee edition Opus measures 18″ x 18″ covering 780 pages and weighs an impressive 70lbs. This black leather bound, Opus measures 18″ x 18″ covering 780 pages and weighs over 70 pounds. This marquee edition Opus is signed by members of the current Steelers squad. 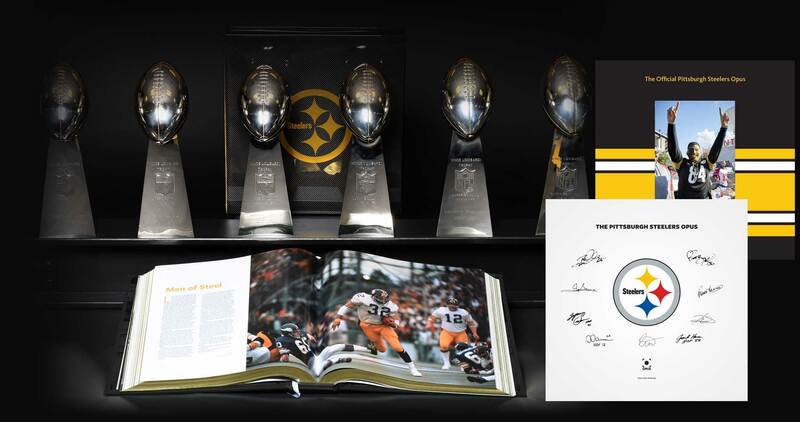 The Steeler Nation Edition of The Steelers Opus is a reduced content 450 page version of the Opus. Measuring 14″ square this unlimited edition comes in a protective silk covered clamshell case and weighs in excess of 30 pounds.